Lipomatous tumors are the most common type of soft tissue tumors of the extremities. The majority of these tumors are atypical lipomatous tumors (ALT) or lipomas [1–3], representing 40 to 45% of the lipomatous tumors [4, 5]. ALTs may show locally aggressive growth [6–8] and even though the risk is very low, they may have the potential to metastasize or dedifferentiate . In contrast a tumor is termed “well-differentiated liposarcoma” (WDL) when located in the retroperitoneum or regions (for example spermatic cord) in which the tumor cannot be resected with a sufficient surgical margin . Recurrence occur more frequently due to the lack of differentiation to local adipose tissue. 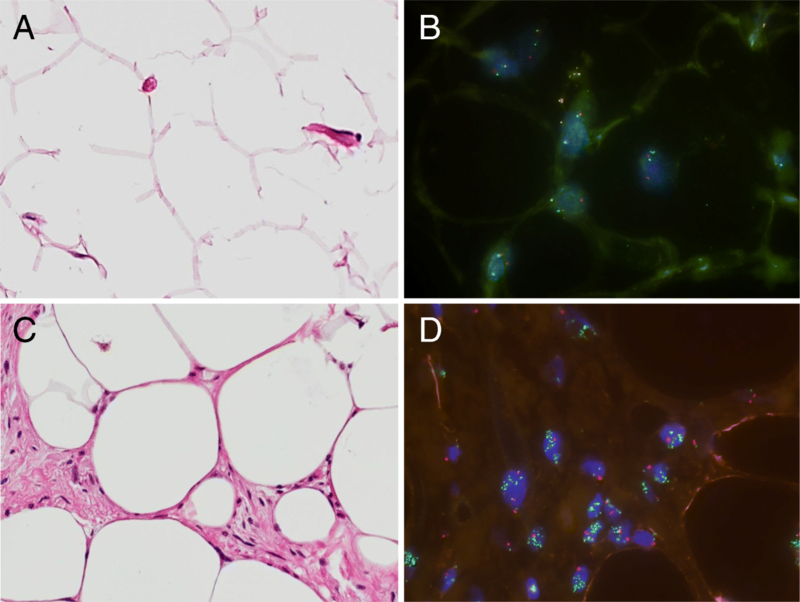 Histologically, ALTs consist of mature adipocytes with atypical hyperchromatic nuclei [10, 11]. These tumors often contain fibrous septa in which these atypical cells are often difficult to identify [12, 13]. Moreover, the diagnosis may be complicated by these atypical cells being scattered throughout the lesion , which consequently requires extensive analysis of the tumor . With additional cytological characterization such as the fluorescence in situ hybridization (FISH) analysis, the presence of amplifications within marker chromosomes, e.g. in the region 12q13–15 [14–18], has been detected previously, resulting in an amplification of several genes, such as murine double minutes (MDM2), which is frequently found in ALT [5, 11, 12, 19]. 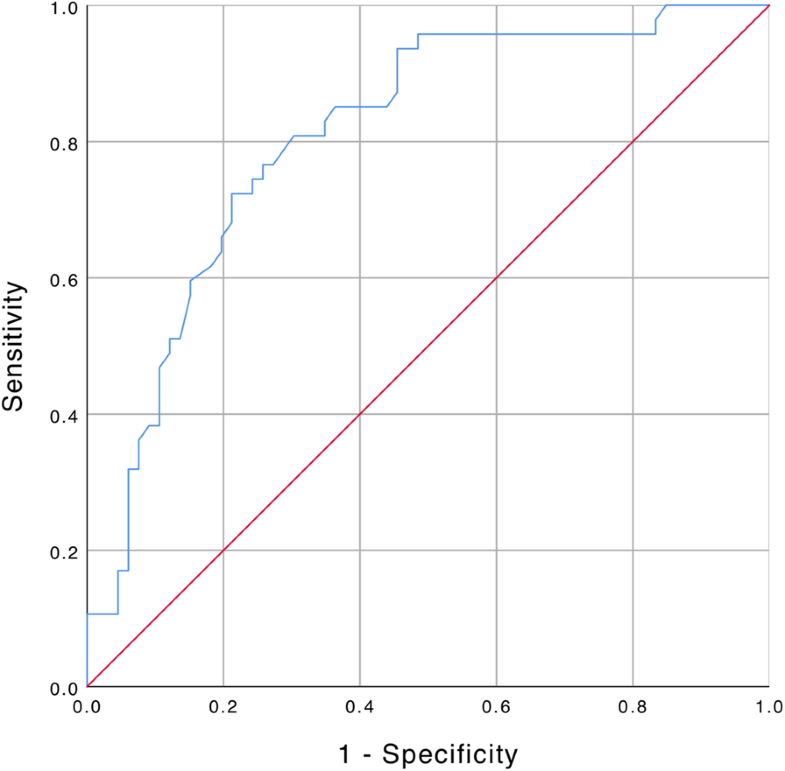 A previous study has shown that MDM2 is highly sensitive for ALT and that without taking this marker into account there has been a tendency to falsely classify ALTs as lipomas in the past . 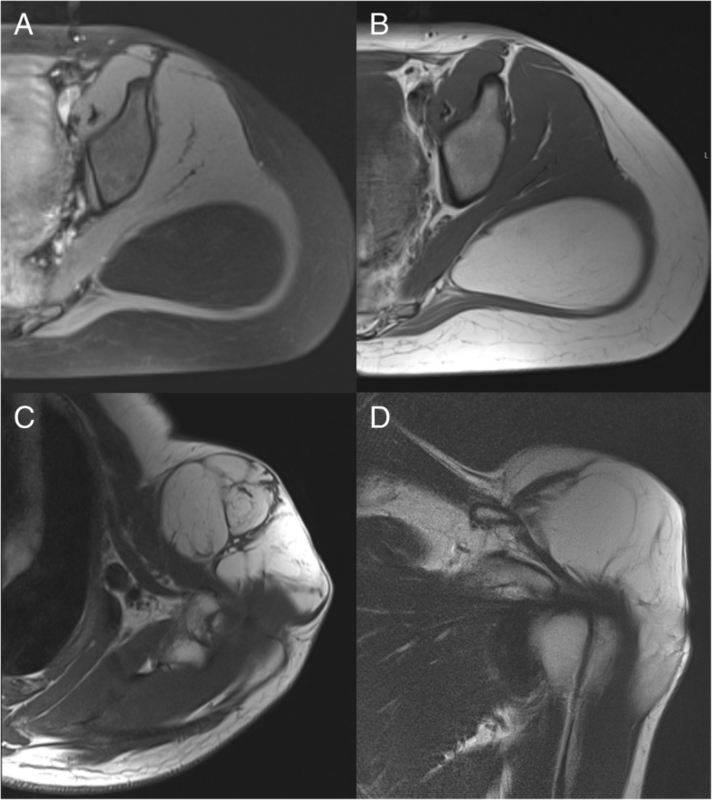 Previous magnetic resonance imaging studies have described that the presence of certain characteristics, such as the size of lipomatous tumors, thick septa and reduced fat content increased the likelihood of the diagnosis of ALT [13, 20, 21]. Yet, the majority of these previous studies did not include molecular genetic analysis, which have shown to be more sensitive and accurate regarding the differentiation between lipomas and ALTs [13, 20, 21]. It was previously demonstrated that lipomas were often over-diagnosed if the pathological diagnosis was based on histology only, since many lipomatous tumors that were histologically considered to be lipomas showed a positive MDM2 amplification status in the cytogenetic analysis, which is a marker highly sensitive for ALT .